If you’re planning a trip to the Maldives on a budget then the chances are you’ve already read my posts on how much does the Maldives cost to travel which covers everything from boat transfers to accommodation and activities. 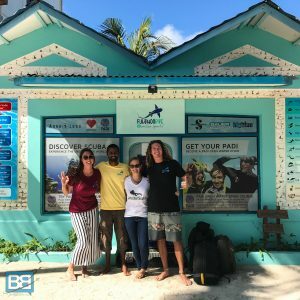 But travelling the Maldives on a budget means you need to be aware of the local cultures, rules and a few other things that will not only make sure you’re respectful of the country you’re exploring, but also means you’ll have a much better time! If you plan on kicking back in the Maldives at a 5* resort like Anantara generally speaking you won’t need to worry too much – however if you’re heading to local islands like Fulidhoo or Thulusdhoo then there are some handy thing you’ll need to know before travelling around the Maldives…. The Maldives is under “common law/sharia law” which means all the locals are Muslim – this also mean that the entire country fasts during daylight hours during Ramadan, something I found out about the hard way! Ramadan changes every year (so do your research!) and lasts 30 days – if you’re travelling outside of the resort island during this time don’t expect to find ANY restaurants open during the day and avoid eating in public too. I totally overlooked this fact when I was planning my trip and although it wasn’t the worst thing to ever happen it did mean I couldnt eat out and enjoy the local food as much! The Muslim weekend is also slightly different – Friday and Saturday – with Friday being the main day of rest. So shops, restaurants and most importantly ferries wont be an option. With the Muslim faith also comes a ban on alcohol. 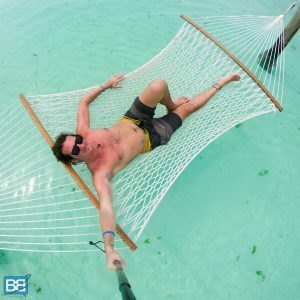 So if you’re travelling to local island you can forget that cocktail on the beach vision you have – you cant even bring it in with you as you have to sign a waiver at the airport saying you don’t have anything! I feel it’s also important to point out here that “Sharia Law” and “Muslim Country” shouldn’t be fast track words to anything scary, especially for those of you read any mainstream media. The Maldives is both safe and more important enjoyable to travel and there are plenty of solo female travellers here too. So is there a dress code in the Maldives? Well yes! Ladies, keep it covered up including shoulders and nothing above the knees, a sarong is a great investment to achieve this without overheating! Guys, you need to be respectful too so no wandering around in just your boardies! This also applies to swimming too so ladies a rashest and boardies might be a wise investment if you plan on swimming. 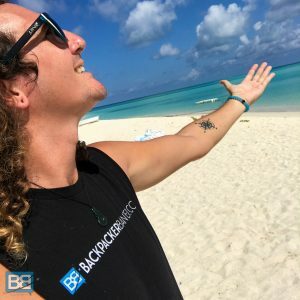 …if you’re heading to any kind of resort though the above doesn’t apply and it’s a bit of a free for all! 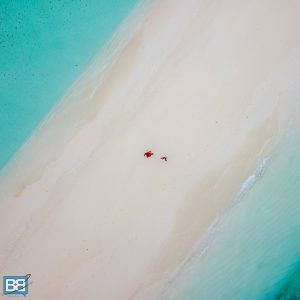 Alongside the dress code the Maldives has also introduced tourist beaches – specific sections of beach for foreigners wanting to top up their tan a bit and laze on the sand. These are portioned off with fences and are kept pretty tidy too. Even though these are slightly more relaxed dress code wise ladies should cover up if you want to avoid any unwanted attention, but you shouldn’t have any worries going for a swim in a bikini here or posing for your Instagram shots! The chances are that if you’re planning a trip to the Maldives you want stunning beaches, blue skies and palm trees, so figuring out the best time of year to visit the Maldives for the best weather is pretty crucial! So what are the seasons in the Maldives? Just keep in mind that wet/dry season aren’t as clear cut now due to climate change so obviously sunshine isn’t 100% guaranteed! Also if you’re planning on travelling the Maldives on a budget keep in mind that low season prices are also cheaper as you’re making the trade off for the weather and you can get some epic hotel/guesthouse deal during this period. For those looking for the best of both worlds November is the main shoulder season so you’ll have a good balance of weather and price. It’s pretty easy to pack light for a trip to the Maldives – especially if you just plan on lazing on beaches and snorkelling on the coral reefs! However there are a few things I’d recommend bringing along with you as items such as suncream are pretty pricey on the ground in the Maldives. If you wear glasses, consider a prescription snorkel mask. If you’re travelling during low season, a very light rain jacket (one that can be packed small) might be worth considering. Maldivian food is very fish and rice based and if you’re heading to local island be prepared for a lack of variety in your meals! If like me you’re vegetarian or don’t eat fish you may well need to pre order meals at local restaurants/guest houses. 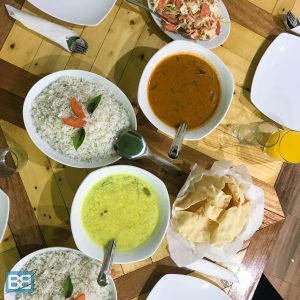 That being said you can get some super tasty food and there’s also plenty of Sri Lankan influence in some of the meals – so if you enjoy a good curry or dhal happy days indeed! Share Your Insta Shots Even Faster! Have you travelled the Maldives on a budget? Any handy hints or tips you’d like to share? Yes,Travelling on a budget in the Maldives is far superior to staying in one of the luxury resorts. Each resort is. Here’s everything you need to know about travelling in the Maldives on a budget. I got some very useful tips from your article. Stoked to hear it helped you out Stacy! When are you heading that way? I thought Maldives would be really expensive, but you’ve changed my view. Thanks, this is really useful and I’ve now added Maldives back onto the bucket list!